Well we are little bit disappointed to know Huawei IDEOS is not a sub 8K android smartphone, but Spice has come to make our wishes true. Spice did a slient launch of its 2nd Android smartphone MI310 in Indian market. E-retailer Flipkart.com is selling this smartphone at just Rs 7305, while MRP is Rs 7500. This entry level power-packed smartphone comes with Android 2.2 (Froyo), 3.15″ HVGA Capacitive Touch Screen with 320 x 480 resolution, 2MP camera, 1200 mAh battery, HSDPA (7.2Mbps), Bluetooth 2.1, aGPS, FM Radio, MicroUSB, and memory card (T Flash, Micro SD, Micro SDHC) support upto 16 GB, USB Tethering & Wi-Fi Hotspot Functionality. Though hardware details (CPU & RAM) is not revealed, it is certain Spice modifies Android UI for best experience on this low end hardware. 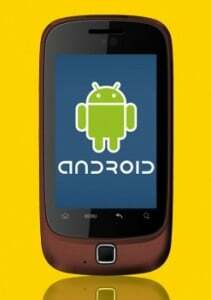 Powered with Android 2.2 the phone can run thousands of applications from Android Market and apps can be installed on external storage. Spice has also pre-loaded made-for-India applications like ibibo, Nimbuzz, Naukri.com, OI Notepad, Spice Gang, and Wapedia. The phone can be a best buy for those who are on tight budget and like to move to Android! Biggest plus point of the smartphone is Android 2.2 and Capacitative touch screen – which will give you best experience with Android! This is good phone….i encountered some problem in getting GPRS setting but WiFi connectivity is awesome…..video quality is very good………..